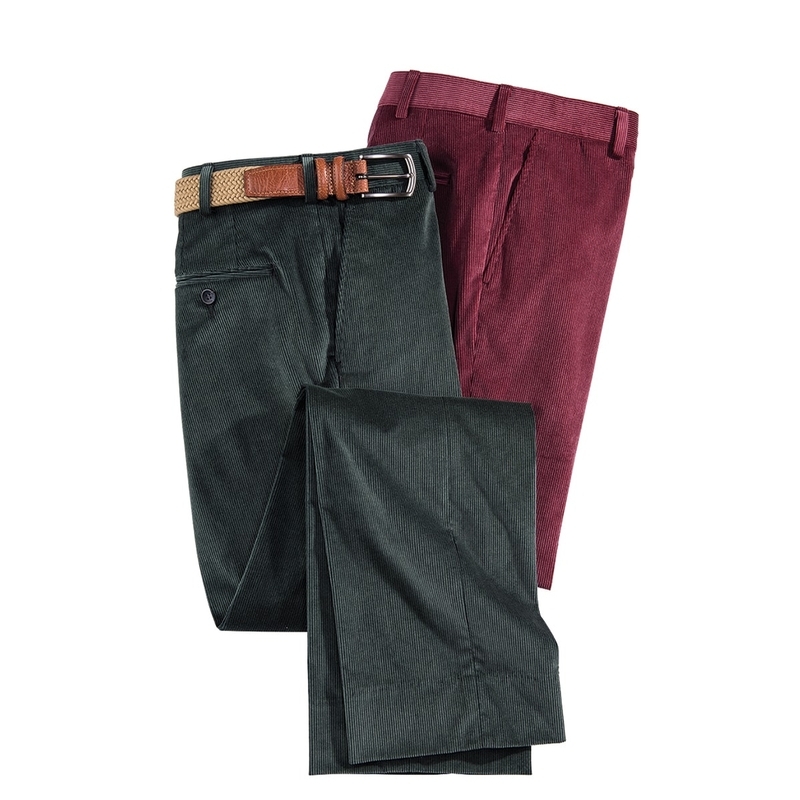 Comfort and color in versatile cords for the holidays or any day. American-tailored of soft cotton with 2% Lycra for stretch. Neat plain front model.